If you have been living in Spain lawfully for at least five years, you will be able to apply for indefinite permission to reside there, which is termed ‘permiso de residencia de larga duración’ simply meaning ‘long term residence permit’. Note that you cannot apply until the UK has ‘potentially’ finally left the EU. However, if after Brexit you have not been in Spain for 5 years but are living there legally, there is no great need to worry. The time you have spent there will count towards the 5 years and as long as you meet the above criteria, you will then be able to apply for the ‘permiso de residencia de larga duracion’. What you might have to do though, is apply for permission for what you will be doing in Spain. For example, if a retiree, you might need to ask to be that in Spain. Or, if you wish to work (see more about this below) you will need to apply for this also. If you wish to holiday for less than 3 months at a time, then you should not need to apply to remain in Spain for this. Before Brexit, obviously none of this was required. If you wish to move to Spain after Brexit, but NOT work in Spain, you will need to apply for a ‘permiso de residencia no lucrativa’ meaning essentially a ‘non profit visa’. You will also have to prove you have money to live on, such as a regular permanent income (a salary would not count for this) or through bank statements showing that a minimum balance has been maintained over at least the last year, with your name and account number. If you are an employee of a company in Spain, then they should be taking care of your application to stay. Note, after you have resided in Spain for 5 years, you can then apply for ‘permiso de residencia de larga duración’ as mentioned above and will only need to adhere to those criteria moving forward from that point. The process – what happens when you are accepted? When you have been accepted, you will be issued a visa within 1 month and you must enter Spain within 3 months for this to remain valid. If you have permission to work and you do not register with the social security office within three months of your arrival, your right to remain will lapse. To apply for permission to live in Spain, you go to your local Spanish Consulate, even if you are not living in your country of origin. The process is thus: the Spanish consulate confirms whether all the relevant documents are in order and that everything has been provided that needs to be. They, in turn, send this to a Spanish Government office who will decide if they will give you permission to move to Spain. If applying to live in Spain without working and you are successful, you can then pick up your visa within one month. If applying to work, you will then be asked to make this application, again within one month, once you have been given the ok to reside in Spain. The visas are valid for one year, when it needs to be renewed for periods of two years moving forward. During this whole time, you need to abide by the rules mentioned above including having the required income to live/run your business. Then, after you have lived in Spain for five years you can apply for ‘permiso de residencia de larga duración’ and solely adhere to those rules, again as mentioned above. Once you have moved to Spain legally, your rights, taxes and your families rights will be the same as any citizen of the EU. Like everyone else, having lived in Spain for 10 years, you can, if you wish, apply for Spanish residency. To do this you need to demonstrate that you have integrated into Spanish society, including speaking the language and understanding the culture. Is the uncertainty over Brexit causing you uncertainty over whether to stay in France or not? Whichever side of the Brexit divide you are on, and in the knowledge that “nothing is agreed until everything is agreed”, there are some important issues to be aware of concerning life assurance-based investments and indeed insurance policies in general. It is possible that ‘equivalence’ rules will apply, and UK insurers will continue to be treated after Brexit as they are currently. But bear in mind that some of the comments in this article are made against a background of a possible ‘no-deal’ scenario, where financial services would be hit hard, so it’s important to look objectively at some of the likely implications when considering your future options. Firstly, in order to set the scene, Brexit is set to take effect at the end of next March, following which there may be a transitional period of 15 months, during which much will continue as at present. For many of us the most important question is whether we are able to remain in France (or other EU27 country) or whether we will have to, or simply wish to, return to the UK. With such a move comes the question of if and when you cease to be tax resident in France and instead become UK tax resident again. This is a complex area, and of course many will have been spending large parts of each year in both countries, perhaps technically risking UK residence already, and clearly this is an issue that many will need to address in detail. For those who have investments held via life policies, and who enjoy all the benefits these offer, a change in tax residence is an event that necessitates an early review of such investments in order to determine whether they can continue as they are or whether any changes need to be considered, and this is a matter you should discuss with your financial adviser at the earliest opportunity. These are offered by insurance companies in France, Ireland and Luxembourg, and provide considerable tax and succession planning benefits. They also provide access to diverse investment possibilities in different currencies, and French law even allows you to hold individual listed company shares, so certain assurance vie contracts provide this facility, which can be very useful. However, it’s important to realise that such flexibility will be punished by the UK’s HMRC if you become UK tax resident – this is because such a policy would be regarded as ‘highly personalised’ (see also below) and would be deemed to generate profits of 15% pa, which would be subject to your highest income tax rate. This would be the case even if losses were made during the year, and is clearly something to be avoided if at all possible. You may not even use the facility to hold shares, and hold only funds, unit trusts or similar, but fortunately this treatment can be avoided by converting the policy to a ‘collectives only’ version before moving to the UK. SEB Life International, a major provider of such policies, offers an easy conversion process for existing policyholders and, if you hold one of their policies, it would be worth asking yourself whether requesting this conversion is appropriate – if you don’t ever intend to hold shares, and there is a vague possibility of becoming UK resident in future, it might be worth acting now. Other assurance vie providers don’t always offer such investment flexibility, and so are unlikely to be affected, but if you are unsure you should check with your financial adviser. Many people in the UK own these as they provide significant UK tax advantages, and operate in a similar way to assurances vie (although the precise treatment is different). As is the case with French assurances vie and similar local policies in other countries, these allow the (relatively) tax-free roll up of income and gains inside the policy, and much less onerous taxation of withdrawals than is the case with income and gains from conventional investment holdings. For those who have moved to France and who still hold such policies, the tax treatment can vary. There is no means by which profits can be taxed as long as these remain within the policy; however, withdrawals and encashment proceeds need to be declared to the tax authorities and, since tax treatment can vary from area to area, it is as well to assume that any such profits will be fully taxable. In the past, there has perhaps been some inconsistency in how the rules are applied, but it is extremely likely that British people living in France after Brexit will find their affairs subjected to greater scrutiny, and such policies will face a much more certain and consistent treatment. An important additional point is that UK policies suffer a form of UK corporation tax on the profits generated by the insurance company (and which therefore reduces the investment reward), which can’t be reclaimed or set against a French income tax liability, so they therefore suffer a form of double taxation that cannot be avoided. Returning to the UK will mean that the tax benefits will continue to be available, but for those who remain in France it is important to review such policies as soon as possible – indeed, the best way forward might be to surrender the policies before Brexit and reinvest the proceeds via an assurance vie, so that all future profits will enjoy the favourable assurance vie tax regime. However, again, this is a complex area and is deserving of proper professional advice, depending on your own personal circumstances. These are policies issued by insurance companies in the Isle of Man, Guernsey and elsewhere. These jurisdictions are not part of the UK, and hence currently not part of the EU either, but which have over many years seen a large number of policies sold to people resident in the UK and in various expatriate locations around the world. There are two types – highly personalised (often referred to as personal portfolio bonds) and ‘collectives-only’, similar of course to the two types of assurances vie as described above. For the UK resident, the highly personalised version is deemed to generate a gain of 15% pa, as described above, but the collectives version is treated in a similar way to the UK Single Premium Policy, with the ability to take up to 5% pa (cumulative) on a tax-deferred basis and excesses being subject to your highest income tax rate. UK policies enjoy a tax credit, which reduces the actual tax paid, but offshore policies see their excess withdrawals fully exposed because there is no tax credit given. There are a number of ways in which tax can be mitigated, and which are beyond the scope of this article. However, returning to the UK will involve a careful review of all such policies to ensure that unnecessary tax bills are avoided, and fortunately most providers will allow you to convert the highly personalised policy to a collectives version before becoming UK resident, as long as you accept certain investment restrictions. Anyone resident in France who holds such a policy and who intends to remain in France after Brexit should give careful consideration to whether the policy should be retained or whether it might be best to surrender it, pay whatever French tax is due, and then reinvest using, for example, an assurance vie in order to ensure ongoing tax-efficiency in France. For some, this might be a costly exercise, but it would be a one-off event and would ensure full future compliance in France at a time when many aspects of people’s affairs are subject to higher levels of scrutiny. In some cases, UK and offshore life policies were set up in a simple trust, provided by the insurance company. Trusts have enjoyed a less than favourable treatment in France in recent years, but can still provide tax advantages in the UK. So, if by chance you have such a policy, whether you intend to return to the UK or remain in France will determine what action should be taken. On moving to France, many continue to hold UK insurance policies of different types – perhaps an ongoing endowment policy, other life insurance, medical cover, car insurance and so on. It has always been important to advise your insurer of your change of residence in such a situation – simply providing a change of address on its own is not good enough, because a change of residence often means a change in the risk and hence a change in the premium. Only providing change of address details can effectively result in the insurer having a reason to reject any future claim. However, the post-Brexit situation will mean that such continuing policies may not be effective at all, even if your insurer knows you are resident outside the UK. This is because, as with Single Premium Policies, the provider will be based outside the EU and, unless the equivalence provisions or similar are confirmed, the policies may cease to provide cover. Brexit has affected, and will continue to affect, exchange rates and investments. 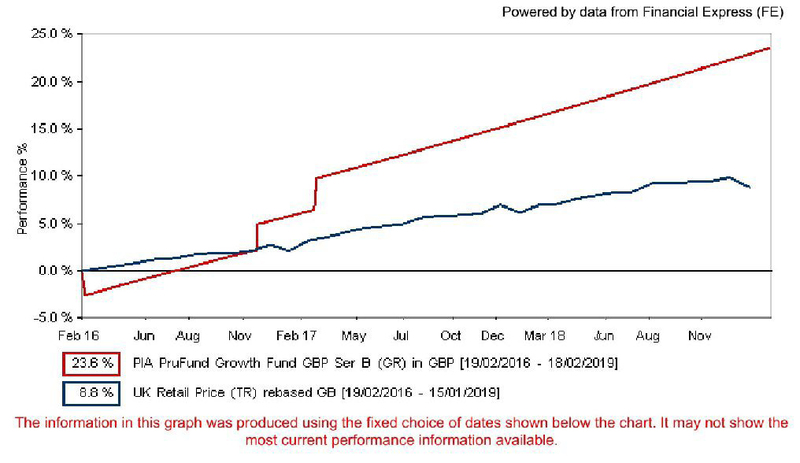 We have seen how Sterling dropped against the Euro immediately after the referendum, as it has on other occasions of course, and this has had an immediate and lasting impact on UK sourced income and pensions for those living in the Eurozone. What can be done? The use of specialist currency exchange providers can help but it also makes sense to reduce the overall risk by reducing reliance on such Sterling sources, wherever possible. This is not so easy if you rely on UK pensions, or property investments, but a detailed review of your assets would be an important step to take. 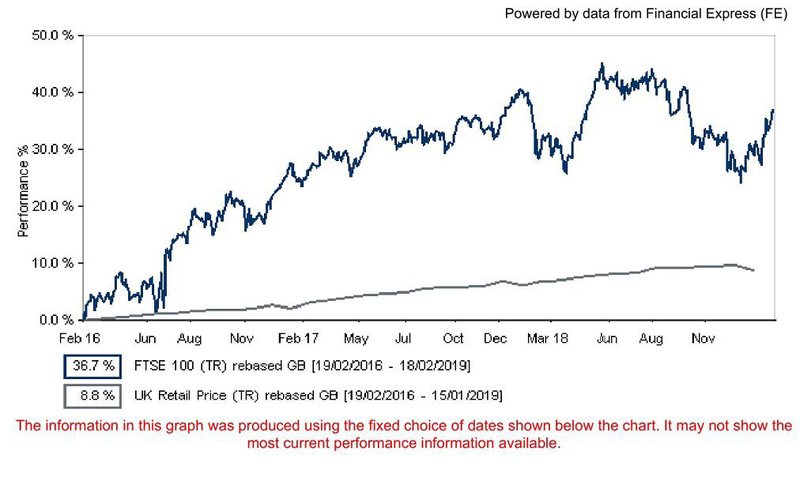 As for investment, the fall in Sterling was matched by a rise in the UK stockmarket, and generally the FTSE100 has continued to do well because of the large number of companies that enjoy US Dollar income streams, and which have reaped the benefits of a low Pound. But the trade and other problems Brexit is creating will mean that British businesses are likely to experience many difficulties, and therefore their ability to generate profits for shareholders (such as funds that invest in the UK and UK pension schemes) are likely to be hit. This could be seen as a contentious issue but reliance on UK investments will exacerbate the problems caused by over-reliance on Sterling, and a more diverse approach would probably be preferable. 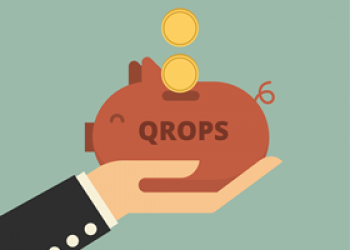 One area of particular interest is the decision whether or not to transfer your UK pension to a QROPS provider, as this can help address the issues of currency and investment strategy by bringing your pension capital more directly under your control. This is another complex area that requires very specific professional involvement, but your ability to use QROPS could be curtailed after Brexit. Already, transfers to non-EEA providers have been hit by a 25% exit charge, and this may be applied across the board after Brexit takes effect. Change brings threats and opportunities, and can be especially challenging when you have retired and have made great efforts to adapt to what has perhaps been a very significant lifestyle change. Fortunately, as ever, an awareness of the likely problems means you are better equipped to make suitable preparations. Hopefully this article has shone a light on some areas that could have a very significant impact on your finances and, more importantly, has suggested possible solutions. This is a question many expatriates are mulling over, now positioning for the upcoming negotiations has started. First and foremost, I remind my customers that the process to leave the EU is widely anticipated to take the full two years set out in article 50, so the only immediate areas people should focus on are changes in the U.K. and Spanish budgets. 1. Does your adviser work for a Spanish registered company, regulated by the Spanish authorities? Working with an adviser who operates and is regulated already under Spanish finance laws means that any change in the UK’s ability for financial passporting will not affect you. 2. Are your investments held in an EU country, not part of the U.K? Again, any issues the U.K. may have to solve regarding passporting are negated by ensuring your investments are already domiciled in another EU country. 3. Have you reviewed any U.K. Company pension schemes you hold, which are due to mature in the future? The recent U.K. Budget saw the government levy a new tax on people moving their pensions to countries outside the EU. There is no certainly that this tax will not be extended to EU countries once the U.K. has left the union. The process of leaving the EU is very much unchartered waters and whilst I certainly do not recommend anyone acts hastily, a review of your financial position in the next few months may avoid future headaches. If you want to review your personal financial position please call or email me on the contacts below. A word that exploded onto the British lexicon almost three years ago and has refused to dissipate. Indeed, instead of disappearing into the shadows and reappearing every time the ruling party wishes to dangle a carrot (or stick) in front of the populace, it has remained in full view without a day or week going by without it being mentioned on the news, by the watercooler, at home amongst family, or debated amongst friends and experts alike. What does it mean? To some, it is wrenching back sovereignty from the EU Overlords, to others, it is an unmitigated mistake. To some, it is the taking back control of the British borders and stemming the tide of immigrants, to others, it is an unmitigated mistake. What is sure, is that it means that the UK voted to leave the EU next March and the EU28 will become EU27. Whilst the politicians discuss the terms on which they will work together in the future and untangle the ties of the past, what does it mean for you? If you have worked in the UK and have a pension (or more) there, then the lack of clarity and swirling uncertainty surrounding Brexit undoubtedly has you concerned about your money; fortunately, we at The Spectrum IFA Group have a solution for you. On Wednesday 7th February, we have invited leading industry experts to discuss the potential implications of Brexit on your money and more specifically any pensions that you have in the UK. This is a must attend event for anyone who has worked and has a pension in the UK. Our experts will discuss likely scenarios and provide solutions for your pension concerns and we will also have a local Belgian Tax Expert who will talk about the tax treatment of UK Pensions here. The evening will end with finger food and drinks and an opportunity to meet and greet our experts, advisers, and attendees. Click below to confirm your attendance, and we look forward to meeting you at the Renaissance Hotel.